Plaid Please! +Win Tickets to the Candy Fair! Swooosh! My Medyo-Marilyn Moment! ;p Haha! 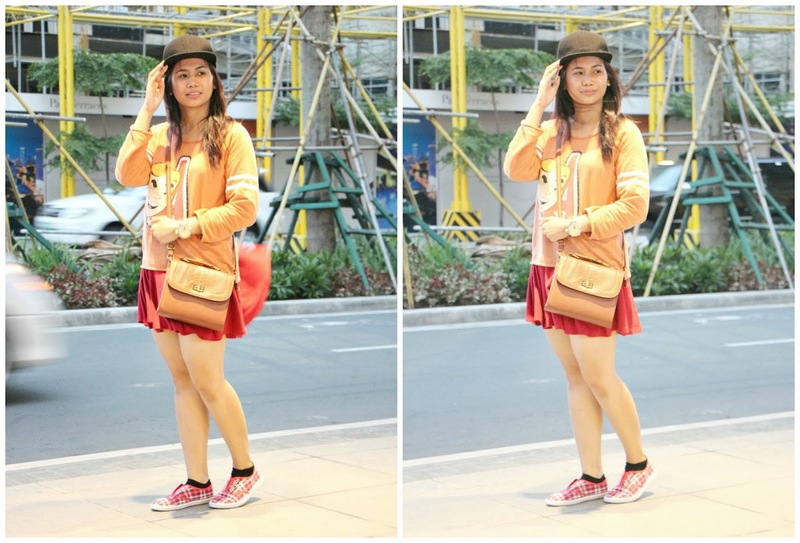 Another A+S Twin OOTD post, worn during the Ben Baller x Trilogy event. Sarah went for her cute plaid flared skirt from Zara, while I wore the new plaid sneakers I scored for only Php125 from the brand Kicks of The SM Store! May mas bobonggang mall-bargain pa ba dyan! Sarah will always tell me na we should act more of ourselves in our outfit photos. Hindi kami the prim and proper type, guys, lalo na in person when you get to hangout with us! Using my favorite word, hahaha, parating aligaga! Lalo pag nagkasama-sama with the Clingies! Hehehe. This is Big Girl me, hiding kay Petite Girl Sarah (haha!) coz nadadyahe parin ako sa public at mataong OOTD, hahaha! A+S wrist tats, hehehe. Kay Sarah legit, while mine yung free LOVE sticker tattoo lang from Candy Magazine! Hahaha! Speaking of Candymag! Here's your chance to score free invites to the event! 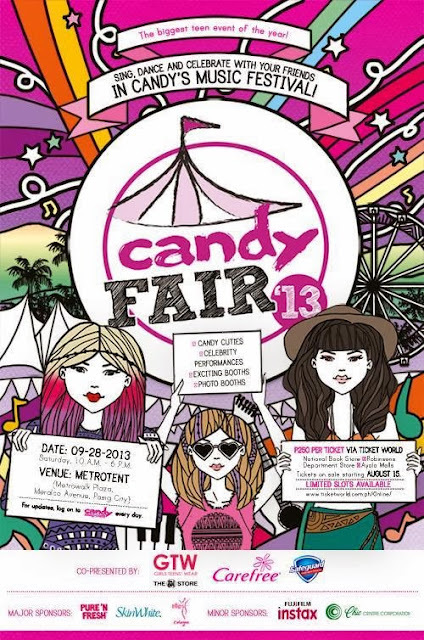 Giving away 10 PAIRS of tickets to the Candy Fair 2013! Ang cool dito, MUSIC FESTIVAL ang theme this year, so ilabas na ang mga paandar na floral wreath, hippie band, and cat's ears headband (o dapat panay ANAGON yan, ha! Hehehe). 4) Comment below with your full name, email, and link of your tweet! Will announce the 10 names by Friday. Winners can claim their tickets on-site. OMG!!! I super want this! hiii, how will i know who won the tickets for the candy event?